AS-20SP-200 Automatic packing line for packing round teabags into plastic pouches with zip keep system. 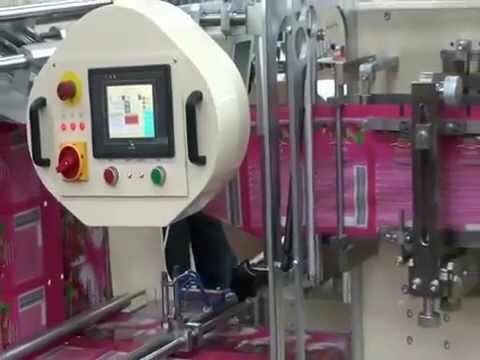 SP-200 automatic packing machine into pouches. quantity of reel of fitter paper: 2pcs. Main driving system with speed regulation providing the output of 40-150 cycles per minute. All basis components are placed on the steel construction cowered by protections. The components contacted with product are made with materials having the health certificate. They are easy demountable for cleaning. The machine is equipped with case-by-case regulation of temperature of sealing elements and regulation of speed system. The breakdown cases are appeared and described by the display. All components are placed on self-supporting steel frame cowered by protections. The components contacted with product one easy demountable for cleaning. The machine is equipped with case-by-case regulation of temperature of each sealing jaw and variable adjustment of speed. The breakdown cases are appeared and described by the display.